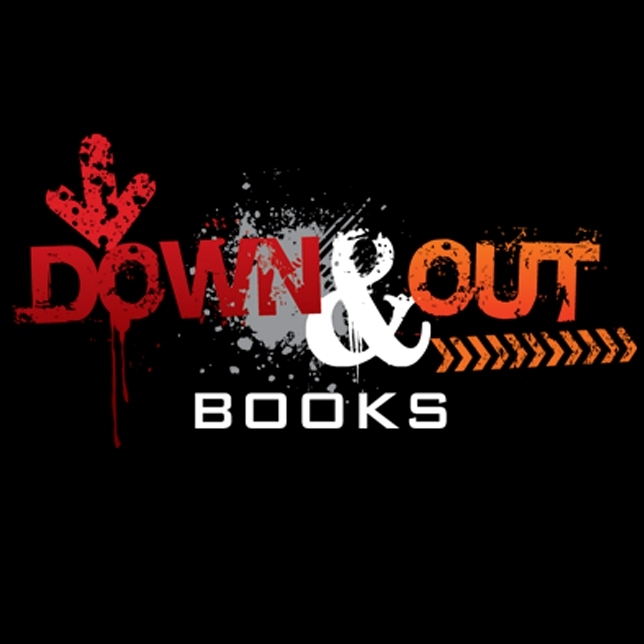 A.C. Frieden’s short story “The Rendezvous” is published in Down, Out and Dead, a collection of intriguing crime fiction stories from twelve popular authors available from Down & Out Books. A.C. Frieden arrived in the Tennessee capital to attend a law conference and to research various scenes for a new crime thriller. A.C. Frieden spent an afternoon visiting the 9/11 Memorial Museum at the former “ground zero” site of the 2001 terrorist attack in Manhattan. A.C. Frieden and five other top crime authors shared the spotlight at Manhattan’s renowned Soviet-themed bar for “a night of crime” reading. 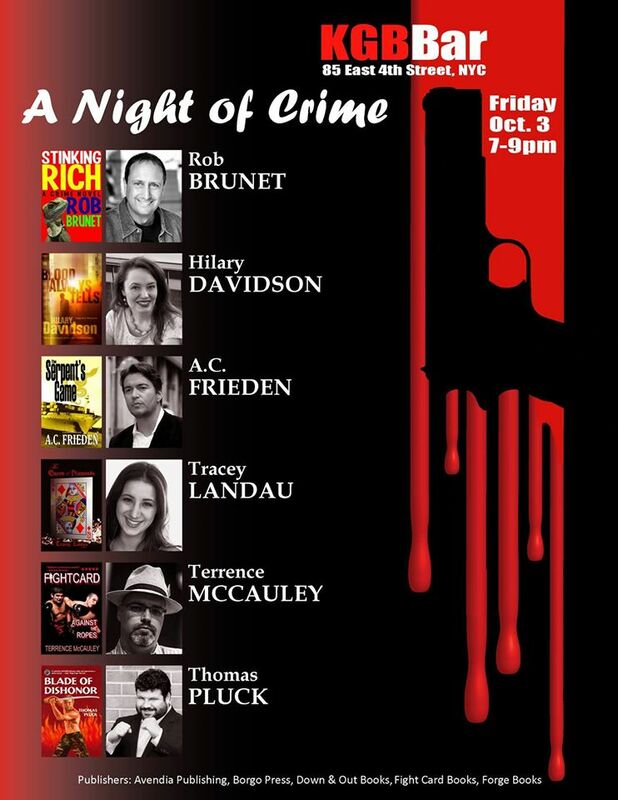 Frieden and three other top crime authors spoke and signed their books at one of Chicago’s most well-known bookstores. 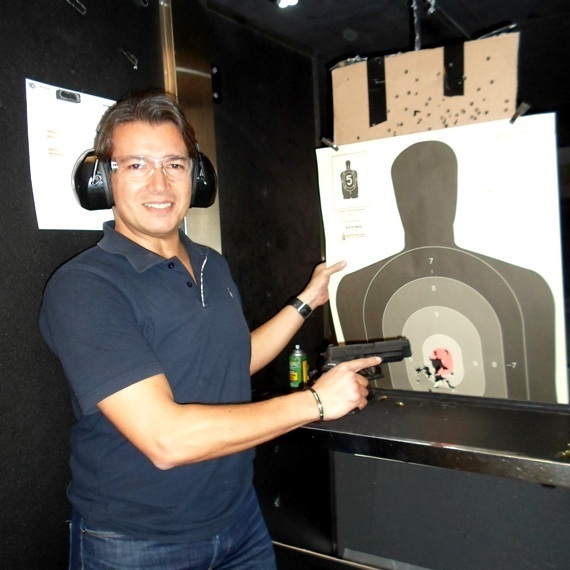 Author A.C. Frieden, who is a former military sniper, tested his marksmanship skills at a gun range in Albuquerque, New Mexico. Frieden, who is an avid private pilot, attended seminars and toured the USAF’s main flight safety and investigations center at Kirtland Air Force Base in Albuquerque, New Mexico. Frieden visited the historic downtown of Pine Bluff, a once thriving town in central Arkansas, to include the area as a scene in one of his upcoming novels. 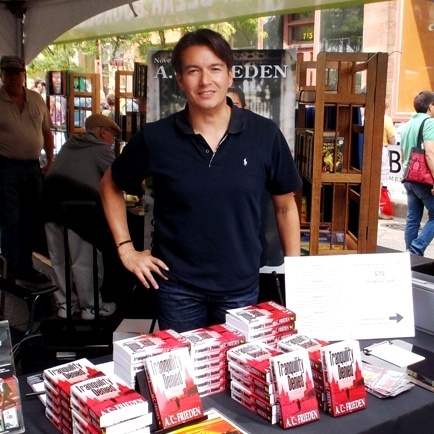 Frieden was interviewed and signed books at the Mystery Writers of America tent at this year’s Printers Row Lit Fest in Chicago. Author A.C. Frieden read from his latest thriller, The Serpent’s Game, at RUI, Chicago’s most popular monthly reading series. 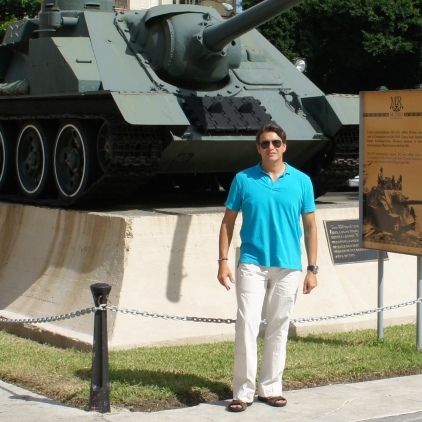 Author-divemaster A.C. Frieden arrived in Bonaire, Dutch Caribbean, to dive and develop various scenarios for a new spy thriller that includes diving action scenes. Novelist A.C. Frieden met the U.S. President, Senator Durbin and other influential Democrats at a small, private reception at a friend’s home in Chicago’s Gold Coast. 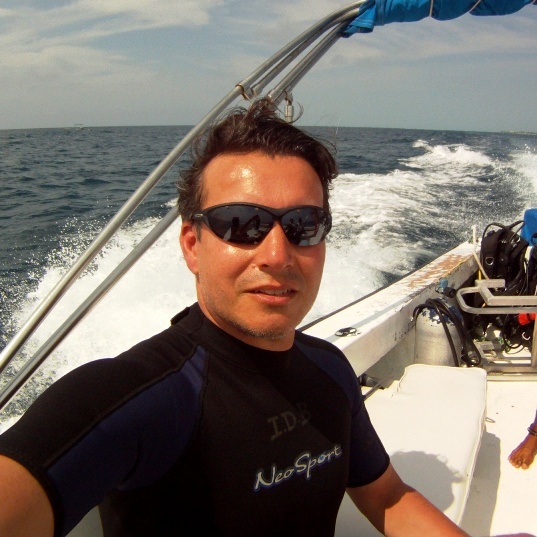 Author A.C. Frieden flew to Florida to complete his final phase of his open water requirements to become a certified PADI Divemaster, the first level professional diver certification. 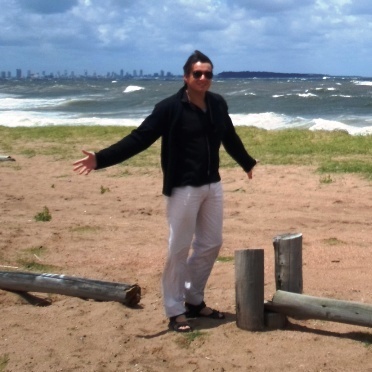 Author A.C. Frieden heads to Montevideo and Punta del Este to research a new spy thriller series. A.C. Frieden’s latest Jonathan Brooks series thriller continues to receive great reviews three weeks into its launch. 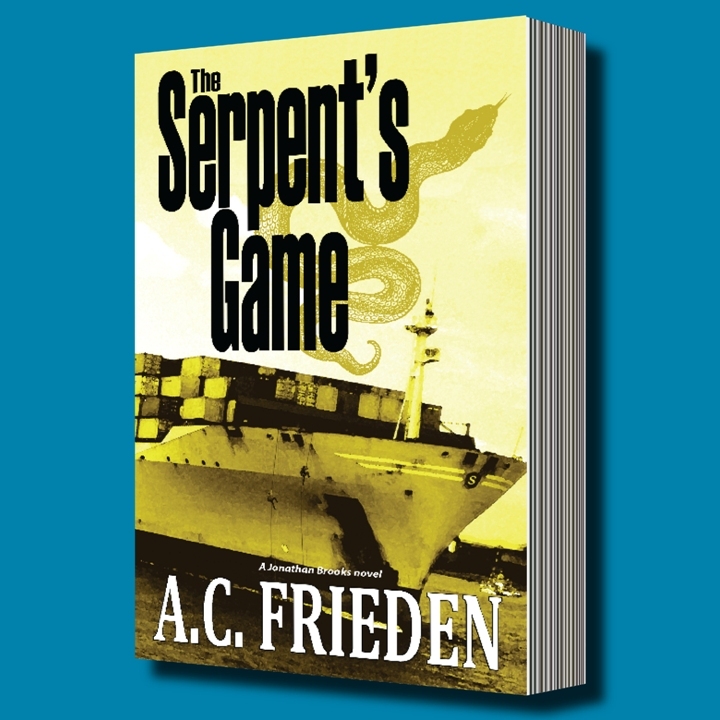 A.C. Frieden’s The Serpent’s Game, second in the Jonathan Brooks series, is now out in paperback, Kindle and Nook. 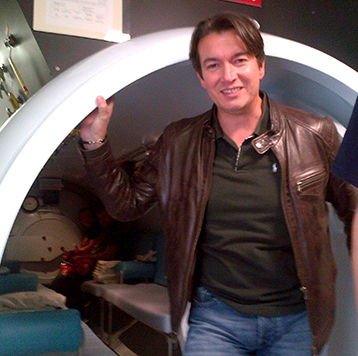 Thriller author A.C. Frieden, who is an avid diver and is completing his divemaster training, went on a “dive” in Illinois’ largest hyperbaric chamber. 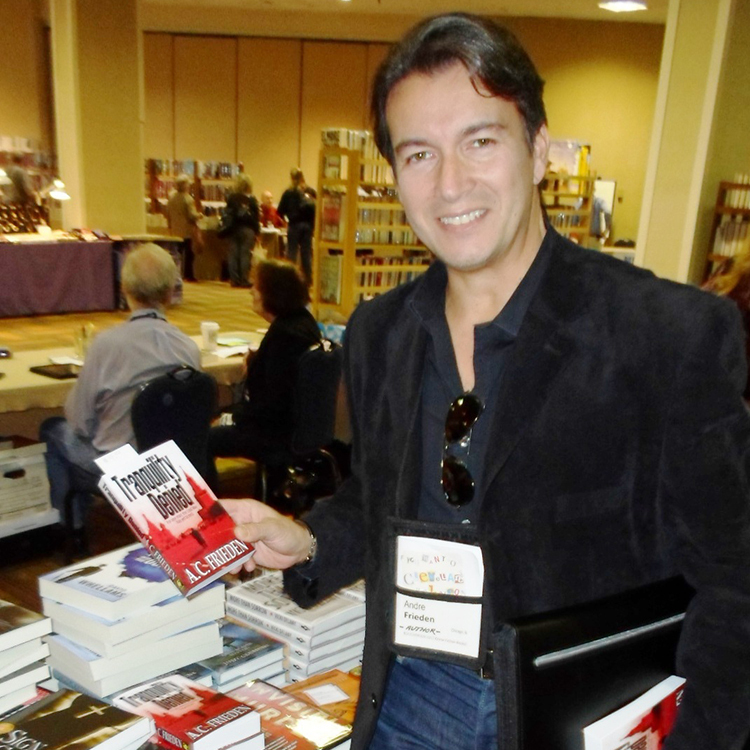 Author A.C. Frieden and dozens of other crime fiction authors descend upon Albany, New York, for the genre’s largest annual convention. 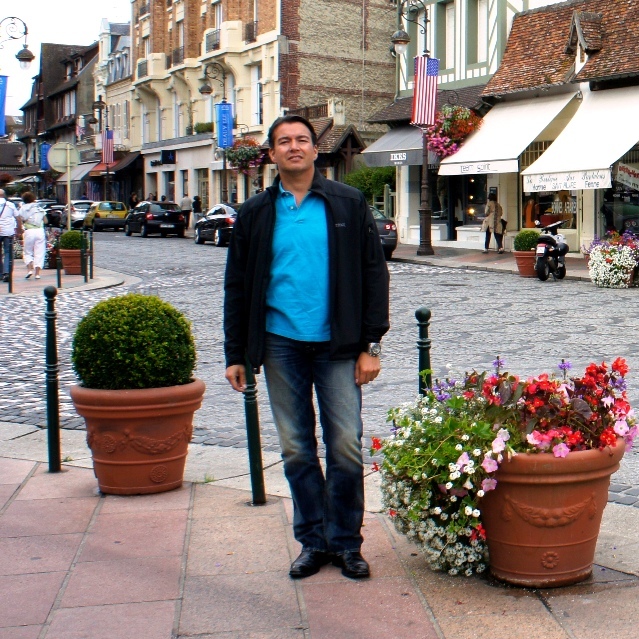 Novelist A.C. Frieden conducts his latest book research in Deauville, Normandy, a pristine coastal town known as a popular getaway for wealthy Parisians. 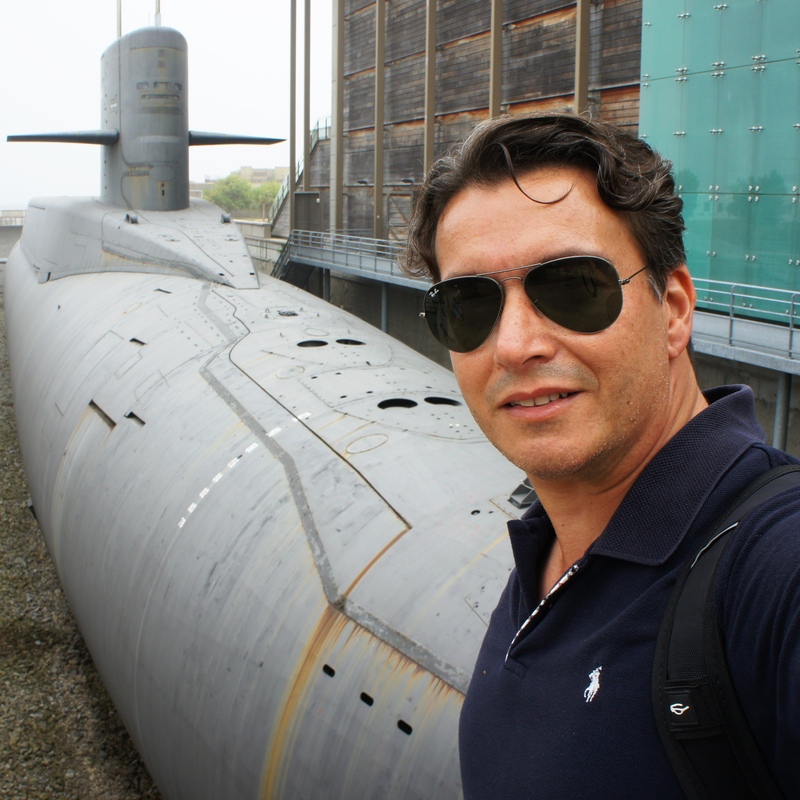 A.C. Frieden arrives in Cherbourg, France to visit the former SSBN Le Redoutable and other submersibles on display at the Cité de la Mer, one of the world’s best maritime museums. 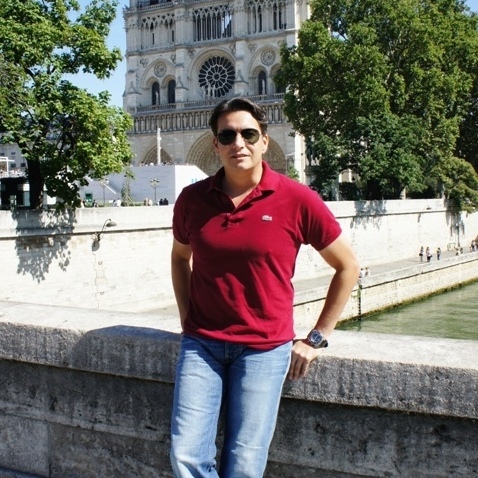 Novelist A.C. Frieden’s latest book research takes him to various government sites and off-the-beaten-path neighborhoods in the French capital. A.C. Frieden and publisher Down & Out Books have signed an exclusive publishing and marketing deal for Frieden’s e-book versions of Tranquility Denied and The Serpent’s Game. 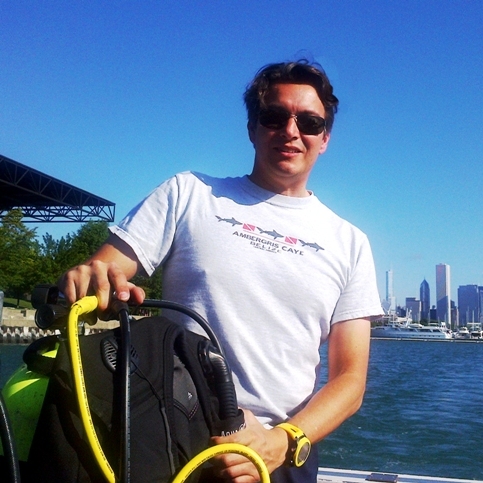 A.C. Frieden completed the main requirements to obtain his PADI Divemaster certification. 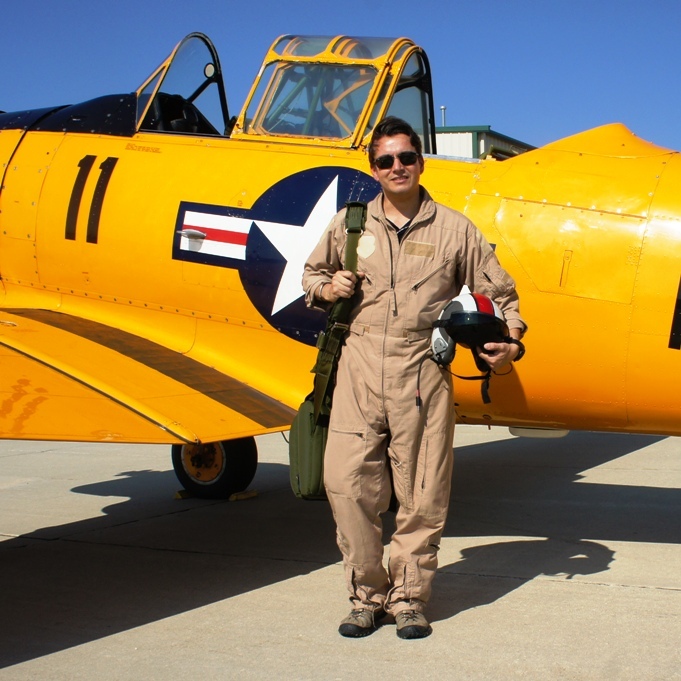 A.C. Frieden, who is a private pilot, practiced high-adrenaline aerobatic maneuvers using a former U.S. Navy T-6 Texan from Gauntlet Warbirds. 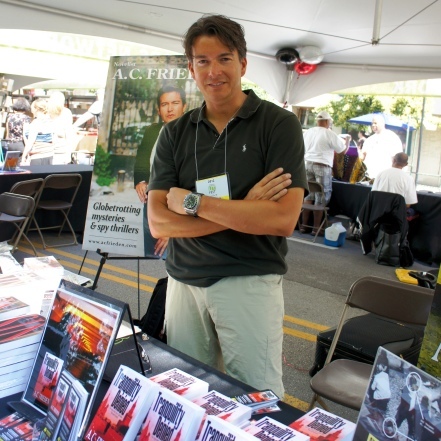 A.C. Frieden signed books and met with fiction fans and other authors at his publisher’s tent at this year’s Printers Row Lit Fest in downtown Chicago. 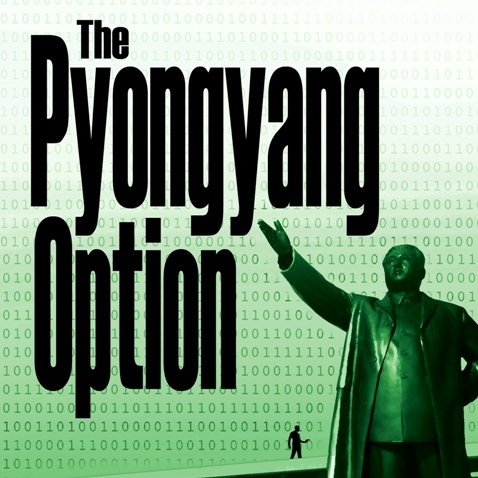 The third installment in Frieden’s spy thriller series, The Pyongyang Option, is announced for an upcoming U.S. release. A.C. Frieden arrived in the Maldives to explore the South Ari Atoll and research parts of Malé for a new book. 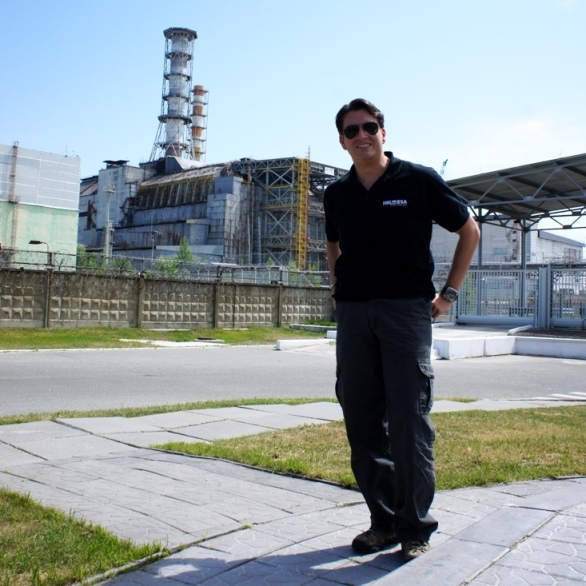 Frieden visited the former nuclear Reactor No. 4 at Chernobyl and the surrounding area, including the abandoned city of Pripyat. 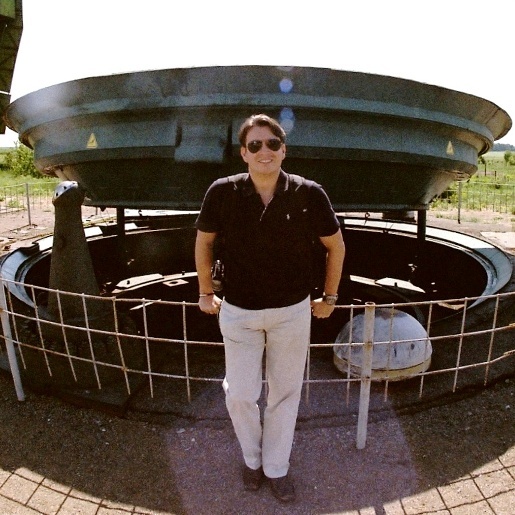 A.C. Frieden visited a former Soviet ICBM base in southern Ukraine, including the underground launch command bunker. 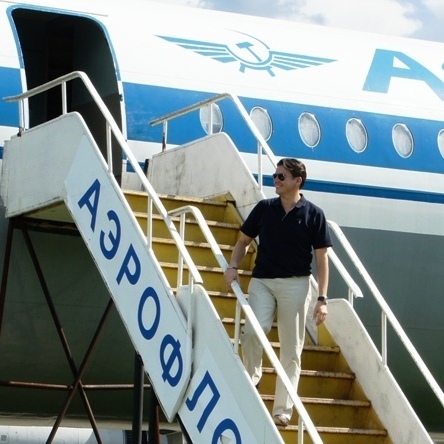 A.C. Frieden, an avid pilot, visits dozens of Soviet-era fighters, bombers, and helicopters on display at the National Aviation Museum in Kiev, Ukraine. 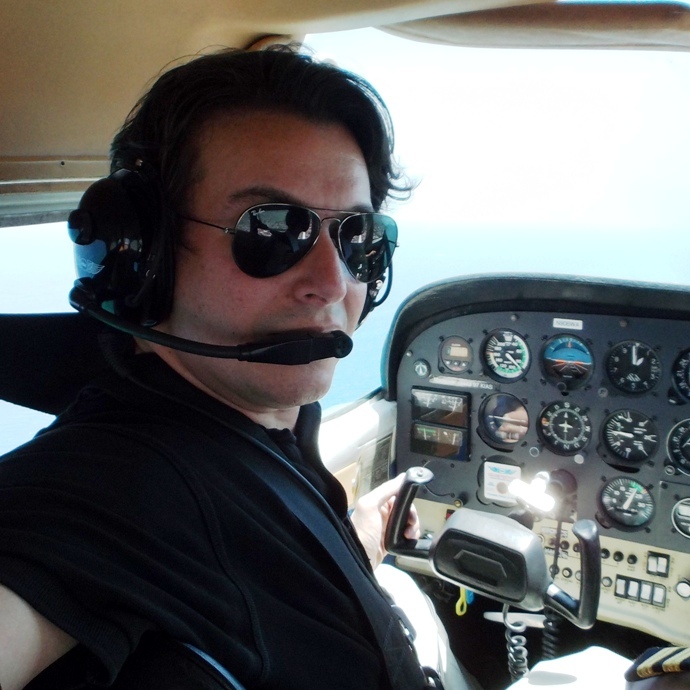 A.C. Frieden continued his passion for the skies by piloting over the Miami area, including South Beach, Key Biscayne and the eastern Everglades. 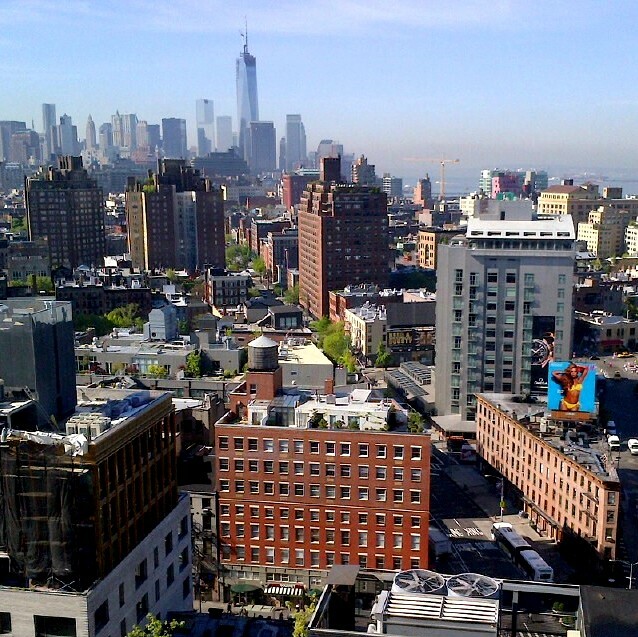 A.C. Frieden arrives in New York City for his legal work but also that have meetings regarding publishing promotion opportunities in Manhattan. 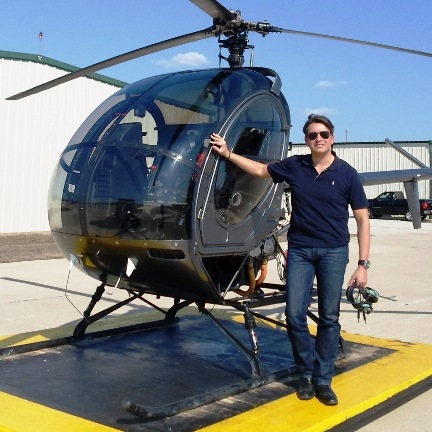 A.C. Frieden, who is already a pilot for fixed-wing single-engine aircraft, began a training program for a helicopter add-on rating at Bachman Aero, near Chicago. 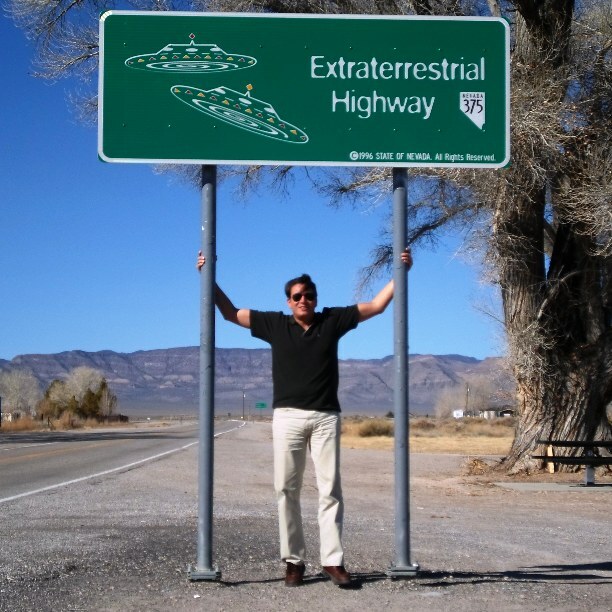 The site known for developing stealth aircraft and alleged alien landings becomes Frieden’s latest book research site. A.C. Frieden, a former military sniper, arrived in Las Vegas for a law conference but also took the opportunity to keep up his marksmanship skills at local firing range. 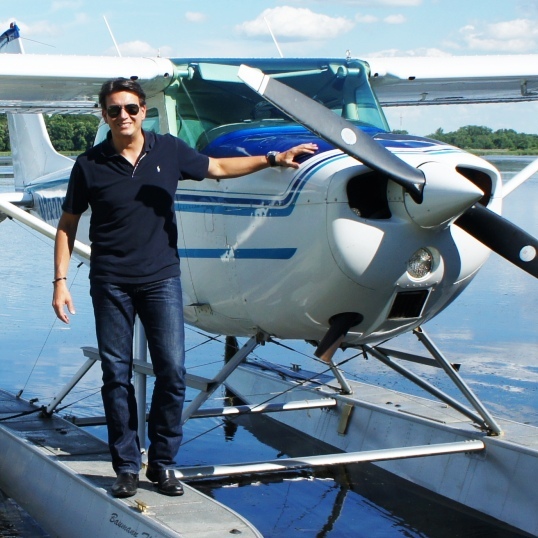 A.C. Frieden piloted a Cessna along one the most interesting coastlines of South America, from Punta del Este to Montevideo, to include scenes in an upcoming book. 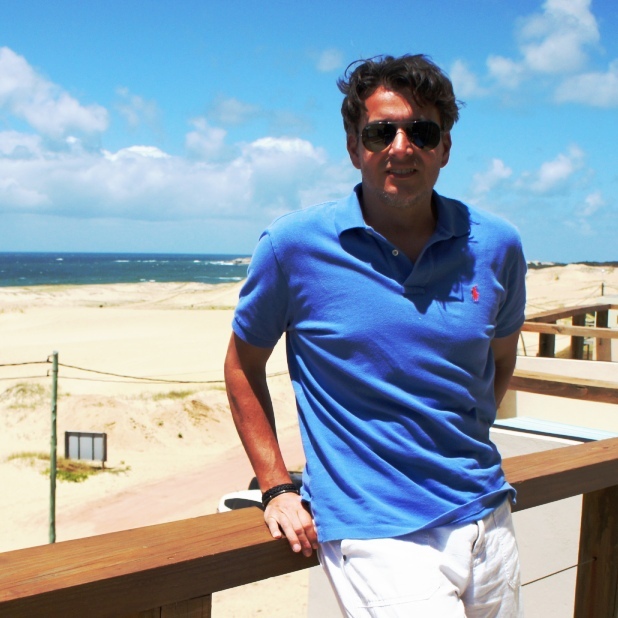 A.C. Frieden researches Punta del Este for new thriller scenes. 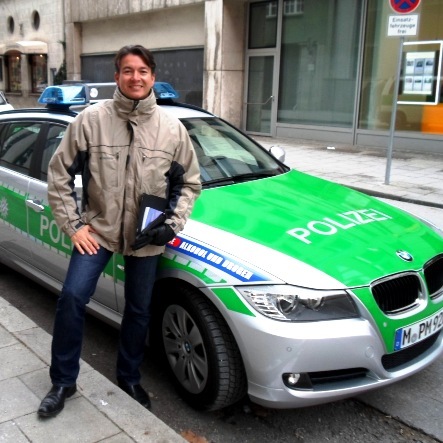 Novelist A.C. Frieden arrives in Munich to research a fictional back story for an upcoming novel to visit an area museum. 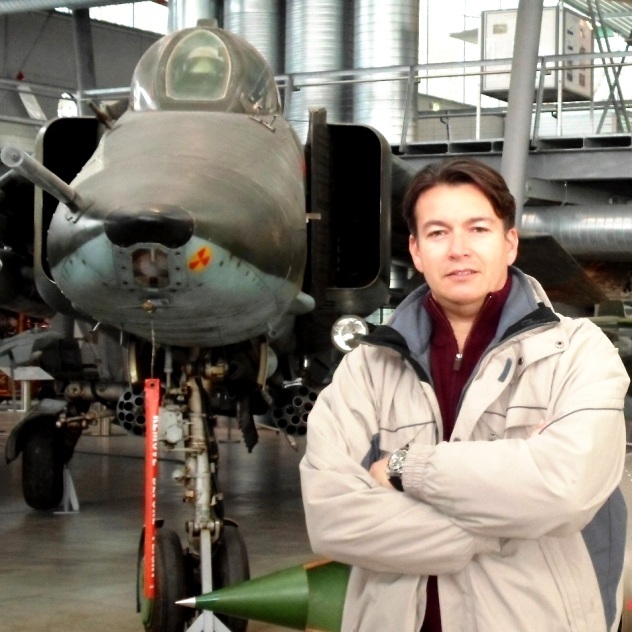 Thriller author A.C. Frieden visited Cold War-era aircraft on display at the Oberschleissheim Aviation Museum near Munich, Germany. 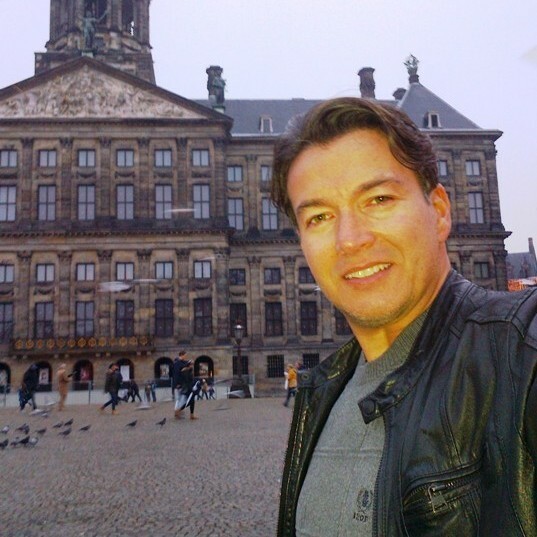 A.C. Frieden begins a four-day work trip to the Netherlands, where he will also research a novel and meet with bookstores and publishing contacts. 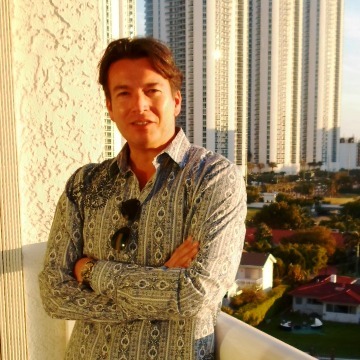 Author A.C. Frieden arrives in Miami to research venues for an upcoming thriller and to visit area bookstores for marketing opportunities. A.C. Frieden attends as a VIP guest President Obama’s reelection victory event at McCormick Place in Chicago. 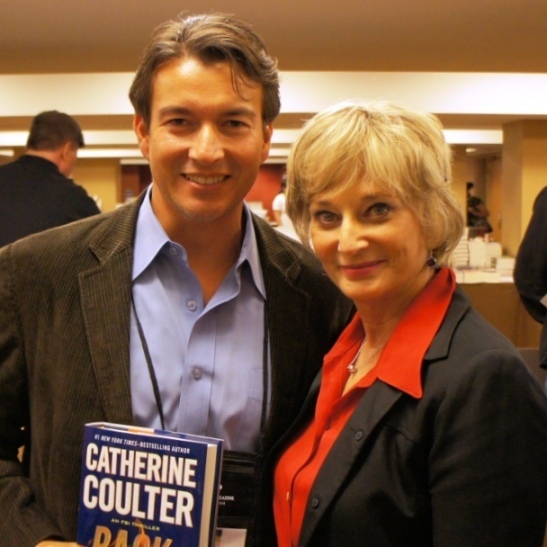 Novelist A.C. Frieden attends the annual Bouchercon 2012 held this year in Cleveland, Ohio, and participates in an exciting panel of thriller authors. 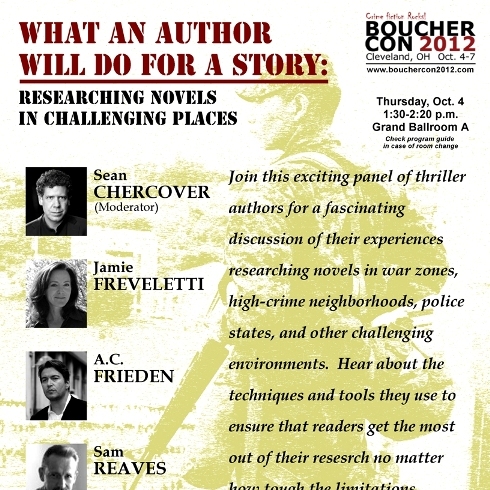 A.C. Frieden will speak on a panel with leading thriller authors at this year’s Bouchercon in Cleveland, Ohio, Oct. 4-7. 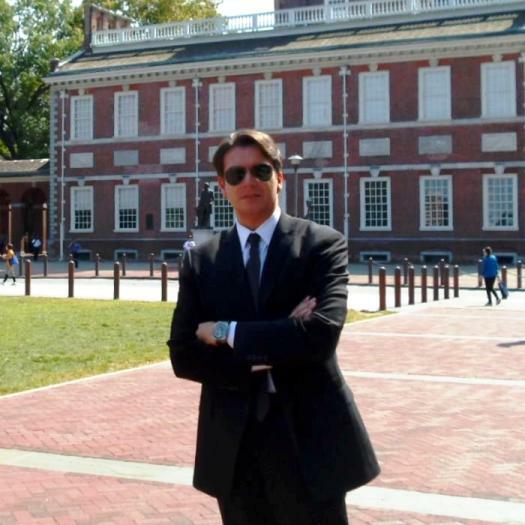 A.C. Frieden arrives in Philly to speak at a conference and to research several downtown scenes for a new book. 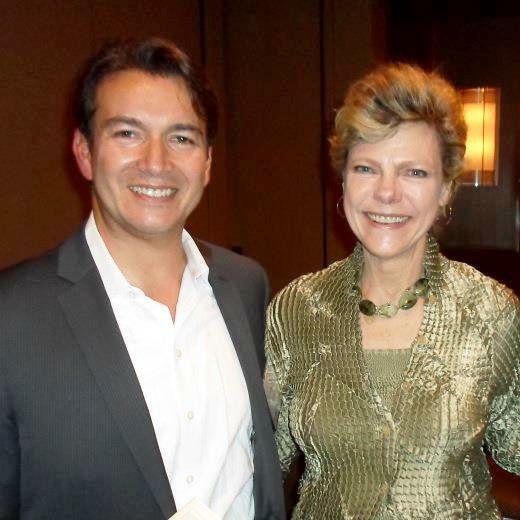 A.C. Frieden met acclaimed journalist-author Cokie Roberts, a contributing analyst for National Public Radio and political commentator for ABC News, at an ACC event in Chicago. 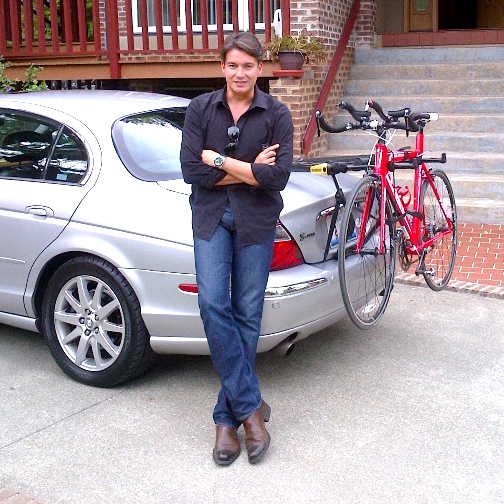 A.C. Frieden arrives in New Buffalo, Michigan, for a long weekend of writing and biking. 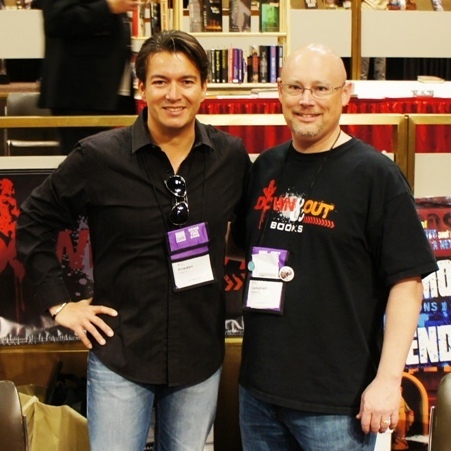 A.C. Frieden attends the largest conference in the thriller/suspense genre with hundreds of fellow fiction authors from around the world. 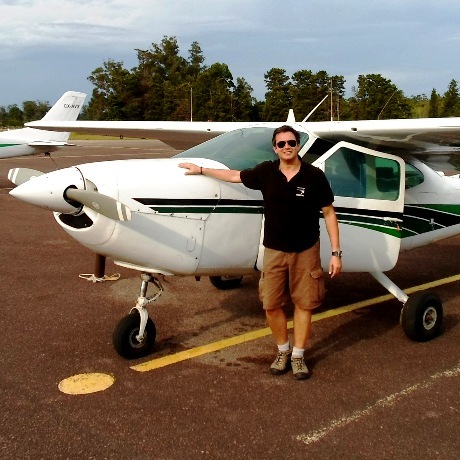 A.C. Frieden, an avid pilot, arrived in Lino Lakes, near Minneapolis, for a weekend-long training course on a Cessna 172 seaplane and passed his check-ride. 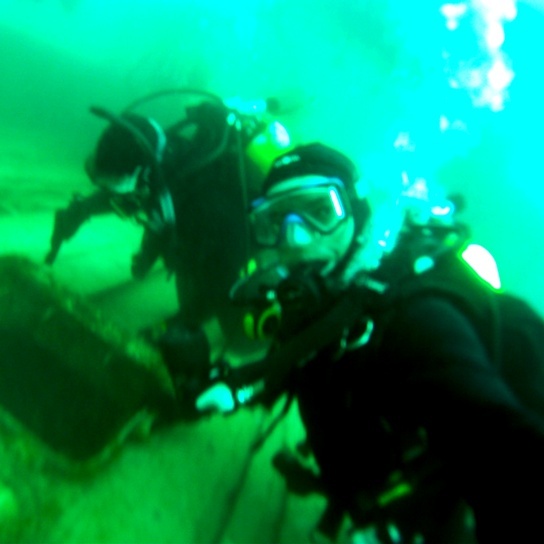 Novelist A.C. Frieden, who is a certified PADI diver, went scuba diving in two old wrecks located in Lake Michigan. 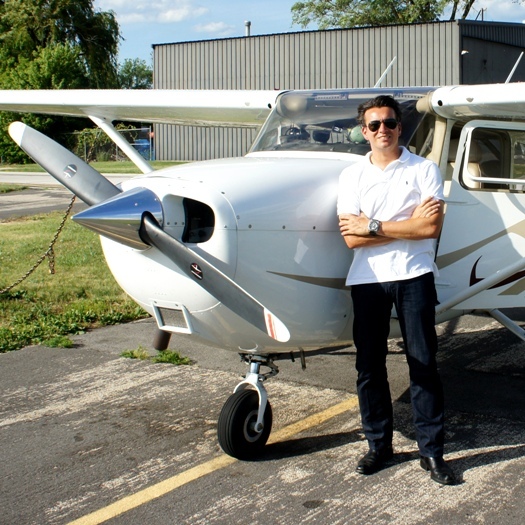 A.C. Frieden continues his passion for the skies by piloting over northern Illinois and southern Wisconsin. Novelist A.C. Frieden attends Chicago’s largest book fair, signing books and chatting with fiction fans and other authors at his publisher’s tent. 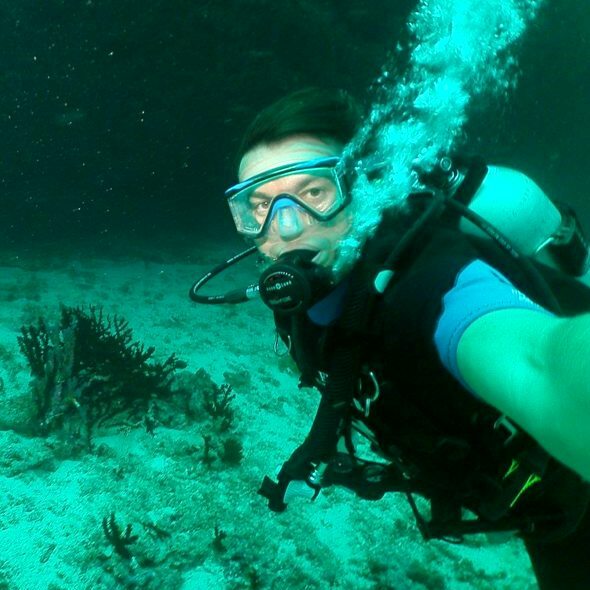 A.C. Frieden, an avid scuba diver, arrives in Belize to research underwater scenes and gather information on Ambergris Caye to use for an upcoming novel. 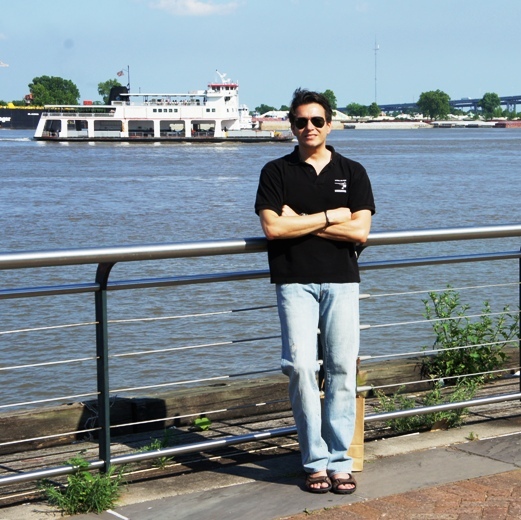 A.C. Frieden arrives for a weekend of research, marketing, and fun in the Crescent City, the home of the lawyer-protagonist in his Jonathan Brooks thriller series. 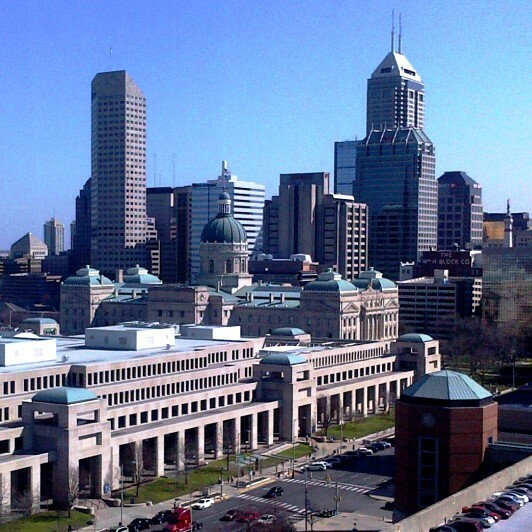 A.C. Frieden arrives in Indianapolis for a conference and to visit various local bookstores in preparation for future Midwest book tours. 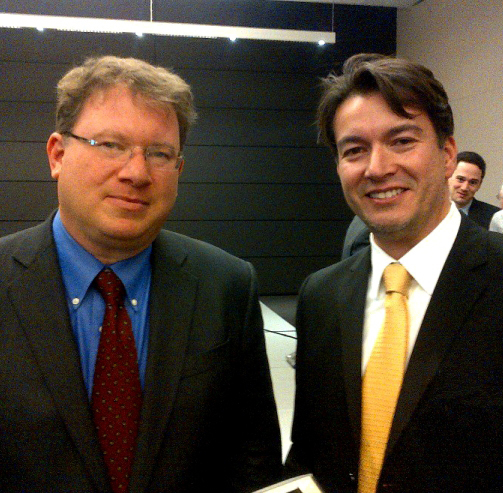 A.C. Frieden speaks with acclaimed journalist Jeffrey Goldberg, a national correspondent for The Atlantic, at an event hosted by the American Jewish Committee in Chicago. 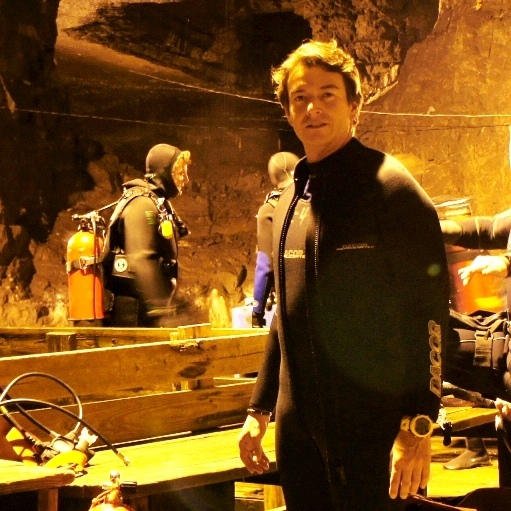 Novelist A.C. Frieden went diving in Bonne Terre Mine, Missouri, to gather ideas for scenes in a future thriller novel featuring cave diving. 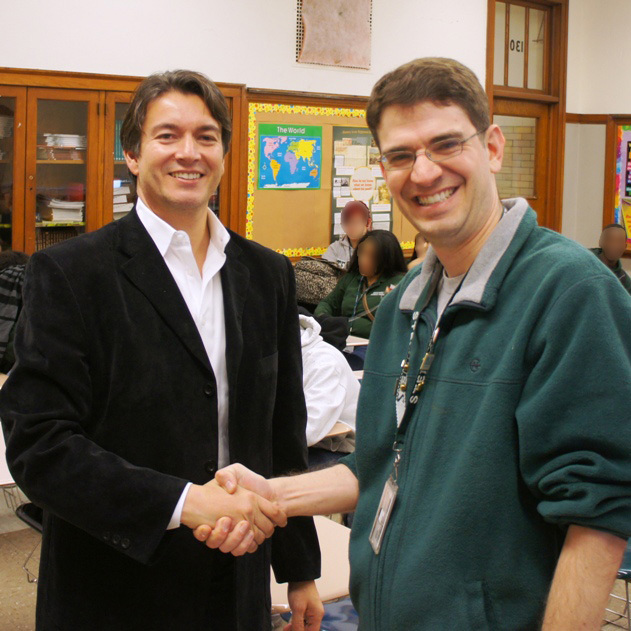 A.C. Frieden was invited to speak at Steinmetz High School about North Korea, his on-site research, and his photography book on that country. 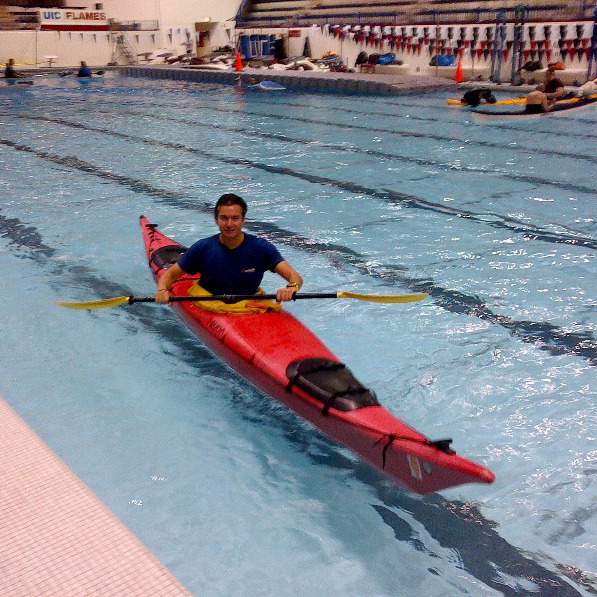 A.C. Frieden took a specialty course from Kayak Chicago over four weeks to master advanced kayaking techniques. 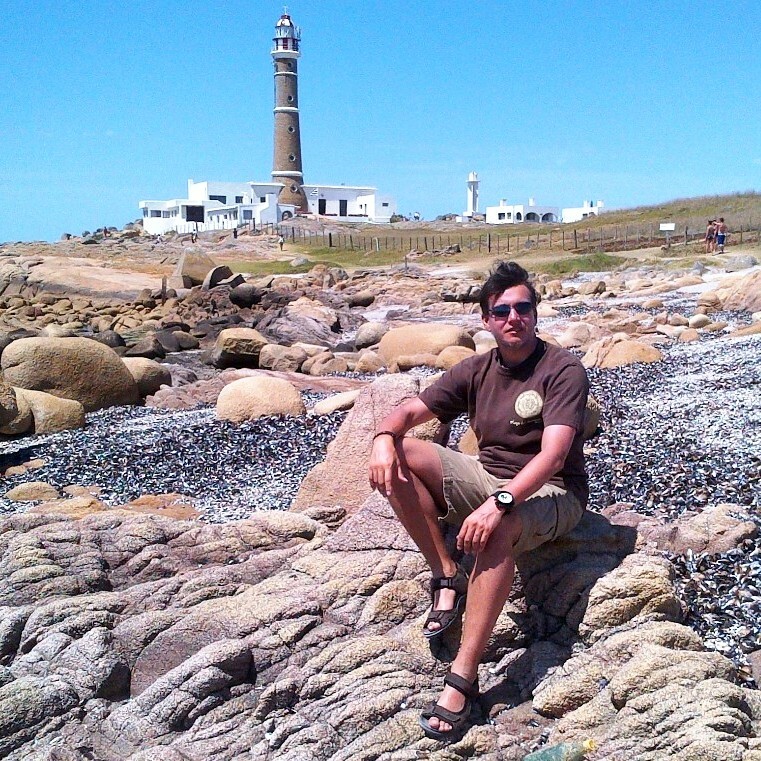 A.C. Frieden made his second visit to this remote South American village that is home to hundreds of artists.